Nevertheless, She Persisted. It’s a phrase that’s taken social media by storm; it’s being embroidered on pillows and etched on coffee mugs—it’s also the theme of this year’s Women’s History Month. 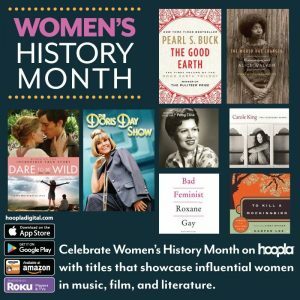 In honor of all the women who have embodied the phrase and in support of all the women who will continue to, hoopla has curated collections featuring influential women. 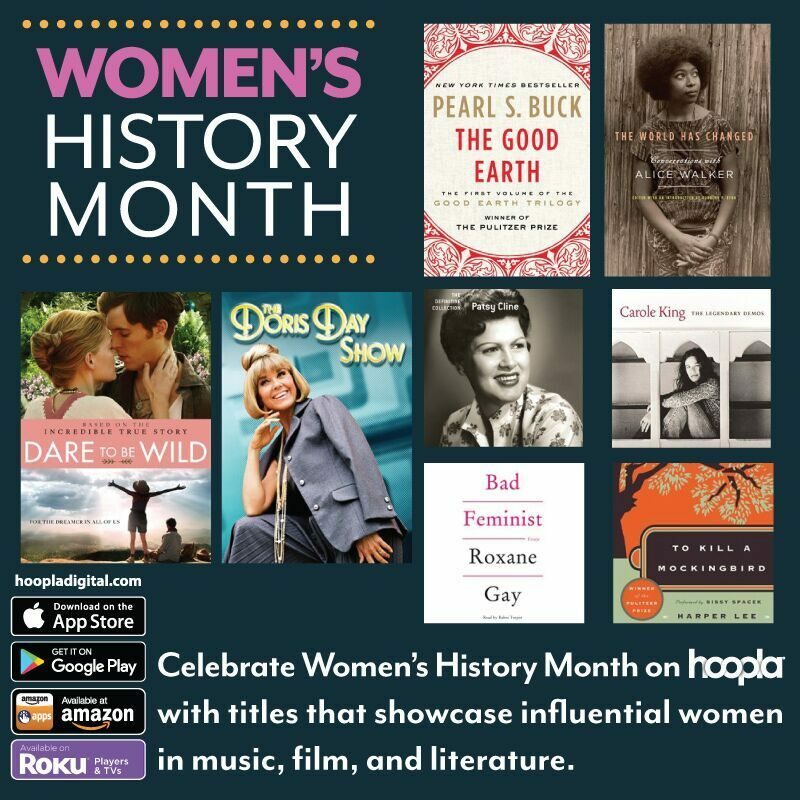 Celebrate Women’s History Month with music, film, and literature titles by and about the women of yesterday, today, and tomorrow!